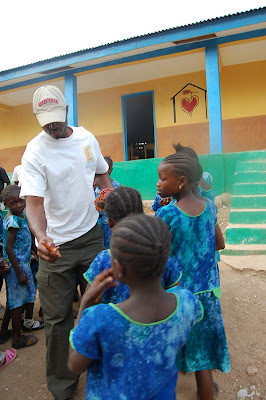 One by one, Alie distributes candy canes & pencils to the students at NHA Kabala School. While Alie is doing that, James snaps away these photographs so that we can share in the event as if we were there ourselves. 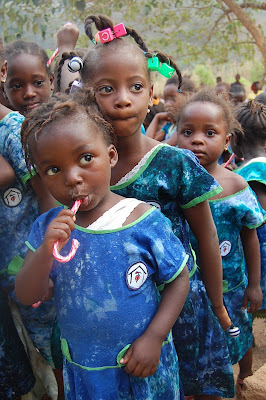 As this little girl crams her candy cane into her mouth, the girls behind her patiently, eagerly await their turn! 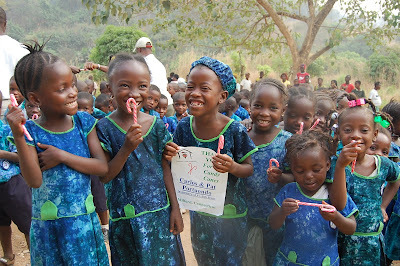 Click on this photo below to get the full details and see the utter joy of these children! The smiles, the giggles, experience it all. Carry these smiles with you today as you go about your business. The chances are they are the most genuine smiles you've seen in a while. 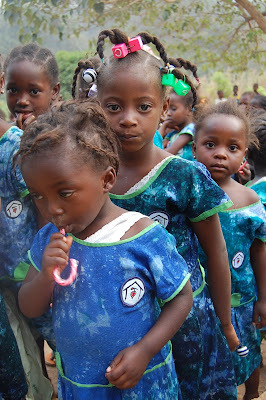 Thank you for being a part of the joy for these children. Happy Birthday, Ann Marie! We love you. Can you Eat them in a Tree?